(CN) – A series of wildfires broke out across Northern California over the weekend, prompting evacuations and an influx of firefighters in advance of the Independence Day holiday. 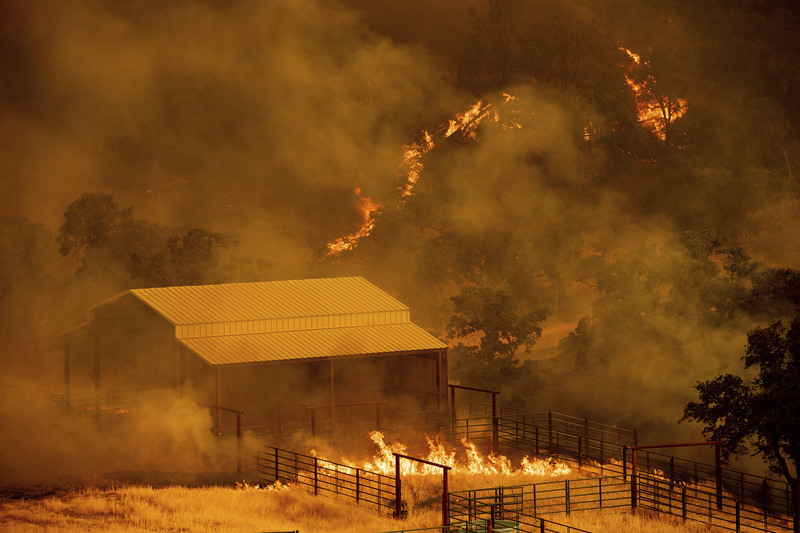 The worst of the fires, the County Fire, burned extensively overnight into Monday morning, destroying about 45,000 acres and prompting evacuation orders near the Yolo County town of Winters west of Sacramento. As the fire spreads throughout Yolo, Lake and Napa Counties, hundreds of structures are threatened according to Cal Fire. The swiftly moving fire also dumped significant amounts of ash on populated parts of the Bay Area and blanketed the area in smoke. The fire is only 3 percent contained. “Extreme fire behavior is still being observed,” Cal Fire Public Information Officer Scott McLean said on Monday. 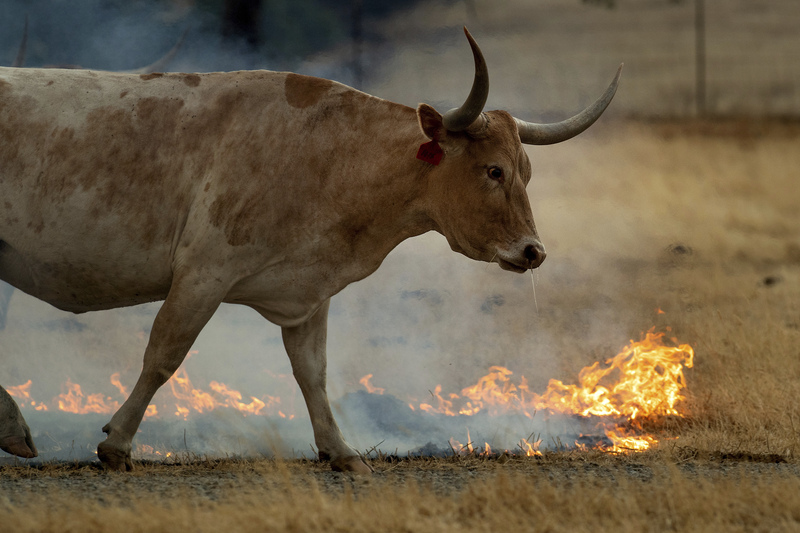 The County Fire represents the most significant wildland fire in a burgeoning wildfire season that got an early start and comes on the heels of the deadliest and most destructive wildfire season in California history. But it’s not the only one. In fact, McLean said nine new fires broke out over the weekend. And hot windy weather also stoked other large fires on the verge of being mopped up, breaking them out of containment lines. For instance, the Pawnee Fire in Lake County forced more evacuations over the weekend after being largely subdued for much of last week. 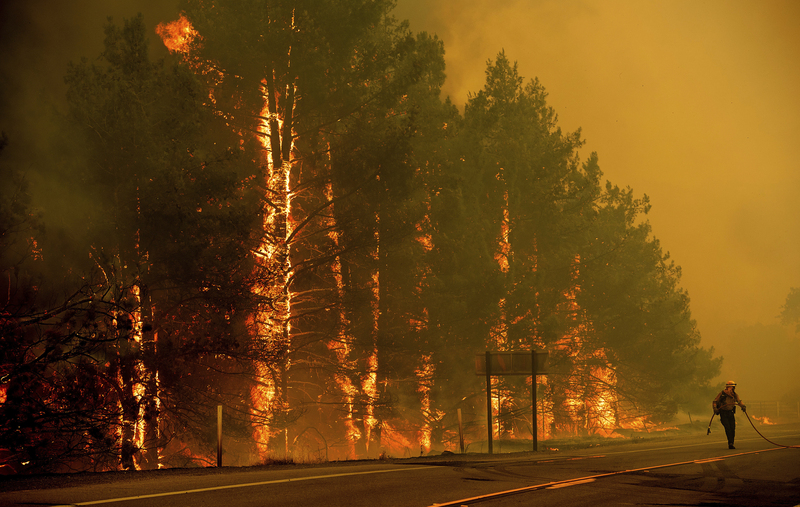 The large blaze initially sparked on June 23, typically a point in the California summer when the moisture content in plants staves off large blazes. But McLean said Cal Fire doesn’t even consider there to be a fire season anymore, as years of drought mean dry conditions necessary to abet large-scale fires appear earlier each year. The Pawnee Fire, near the town of Clear Lake by Highway 20, is 75 percent contained but conditions remain challenging for firefighters. Highway 20, a major thoroughfare between the Sierra Nevada foothills and the Northern California coast, was closed Sunday into Monday morning, before reopening around 11 a.m. The Creek Fire, Lane Fire and Waverly Fire – in Shasta, Trinity and San Joaquin Counties respectively – also broke out over the weekend. They are relatively small fires and have been contained. The fires come as Cal Fire prepares for a busy Fourth of July weekend. The holiday and its fireworks displays typically keep firefighters across the Golden State busy as they race to keep brush fires from evolving into large and destructive wildfires. The National Fire Protection Association recently found that half of all fires that occur on and around the Fourth of July are caused by fireworks. The pace of new fires in 2018 exceeds that of 2017, according to McLean, prompting officials to continue to warn the public the dry landscape is like a tinder box awaiting a spark.